Explore the numerous day-trip ideas around Las Vegas: Hoover Dam (in Boulder City) and Valley of Fire State Park (in Overton). 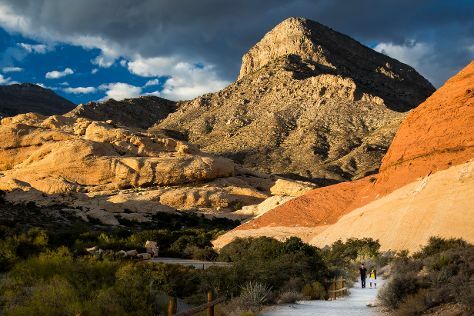 There's much more to do: take in breathtaking views at Red Rock Canyon National Conservation Area, try your luck at The Venetian, examine the collection at The Mob Museum, and appreciate the extensive heritage of The Strip. To see where to stay, ratings, other places to visit, and tourist information, read our Las Vegas trip itinerary planner. If you are flying in from Spain, the closest major airports are McCarran International Airport and Laughlin Bullhead International Airport. Expect a daytime high around 23°C in November, and nighttime lows around 9°C. Wrap up your sightseeing on the 24th (Fri) to allow time to travel back home.